The Rebel Sweetheart. : Spotlight | Clio Microfessional Lip and Eye Remover. 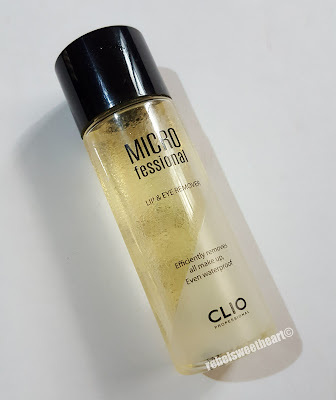 Spotlight | Clio Microfessional Lip and Eye Remover. I fell in love with Clio's eyeliners after my first-ever trip to South Korea, and have not used any other eyeliner brand since. I was so enamored by the Kill Black Waterproof Brush Liner that I make it a point to stock up on this HG eyeliner whenever I'm in Seoul. The brush liners, I have noticed, are almost always sold in sets with another Clio product. Last year, they were sold together with the Backcomb Cara Mini. This year, the brush liner comes as a set with the Microfessional Lip and Eye Remover, which I got for 14000 won (around Php 600 or $12). 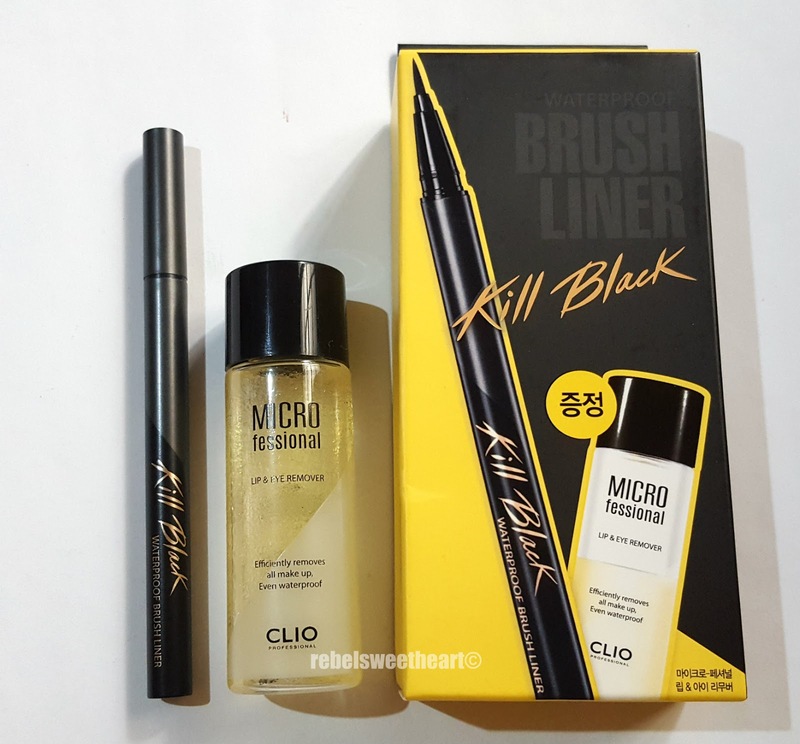 Clio Kill Black Waterproof Brush Liner + Microfessional Lip & Eye Remover. The Microfessional Lip and Eye Remover comes in a smaller, 30 mL bottle - perfect for your carry-on bag when traveling. Its full-sized version is a whopping 150 mL bottle which usually retails for 12000 won (around Php 530 or $10). 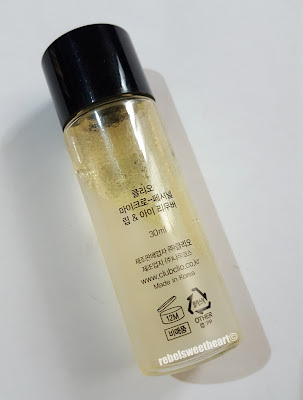 Clio Microfessional Lip & Eye Remover. Clio describes the Microfessional Lip and Eye Remover as an 'ultimate deep cleanser that thoroughly removes even the toughest makeup' and rightly so, as this product was able to remove almost all traces of the Salon de Cara Backcomb Cara - one of the most resilient waterproof mascaras that I have tried so far - on my eyelids. And without vigorous scrubbing at that! Comes in an airline-friendly 30 mL bottle. 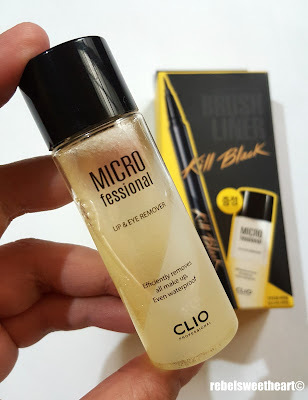 With the Clio Microfessional Lip and Eye Remover, all you have to do is to place the doused cotton pad on your eyelids and other parts of your face with heavy makeup on (such as the brow gel on your eyebrows or the kiss-proof matte lipstick on your lips), leave it there for at at least ten seconds to let the product 'melt' all the gunk on your face. Gently press the cotton pad, and sweep the area clean. How to use the Clio Microfessional Lip and Eye Remover. Like most makeup removers, the Clio Microfessional Lip and Eye Remover also comes in a dual phase formula. However, this product boasts of the Purifying Complex, a special formulation of Moringa Oil, Camelia Sinensis seed oil, Eucalyptus leaf extract, and Nelumbium Speciosum flower extract that cleanses, soothes, and moisturizes the skin. What I love most about this product is its essence-like texture which leaves the skin soft and smooth without the greasy feel. 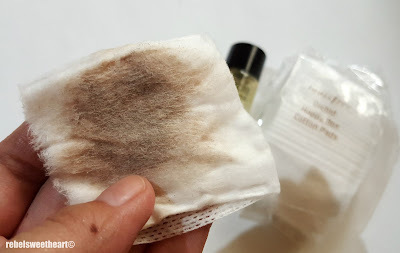 Among all of the makeup removers that I have tried (and if you're a regular reader of this blog, you know that I have tried a plethora of both Asian and Western brands), this one has the silkiest consistency of all. 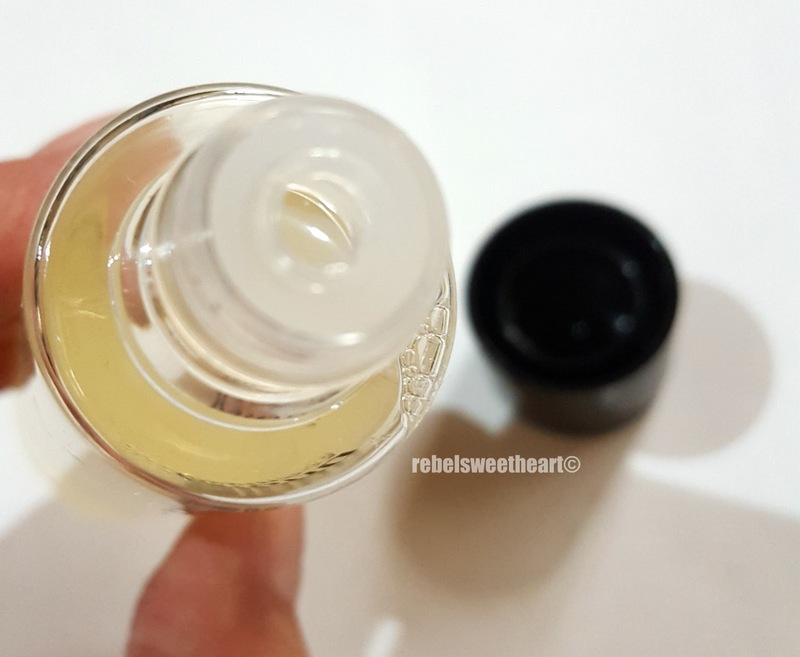 It doesn't leave any oil residue on the face, and has a mild and gentle formula that doesn't sting the eyes or irritate the skin. It also has a light, fresh scent which was a nice surprise. I was kinda expecting this makeup remover to be fragrance-free, just like the ones that I have used in the past. I'm very curious about that eye liner since my daily look only involves and eye liner and lipstick! I think this is definitely a must try especially since you swear by it! Removing mascara is such a pain! I always end up hurting my skin and eyes from being too forceful. Looks like I'm using the wrong kind of makeup remover bc my cotton pad looks nothing like yours afterward.. Wow!! This is so great.. In one wipe it can removed dirt. I think this is definitely a must try product..
One of the major turn offs for me when it comes to beauty products is its chemical components. However this seems to have natural chemical compositions. Thia is great. Good products. Women, especially those who love makeups will surely love these products. It is a big help for those who struggle in removing makeup and mascara. Had a problem removing my makeup last night because I don't have a makeup remover. I guess this post is timely. I now have an idea what kind of makeup remover I should buy. Thanks for sharing! Perfect tips to for my daughter, she's the one who loves make up. I love eyeliners but I haven't tried this brand yet.Can I get this locally?